As a result of a long-time dialogue (relationship goes back to 2012) and a visit to Stavanger Autumn 2017, Ennox now enters a partnership with Gateway Business Solutions in Mumbai. As a result of a long-time dialogue (relationship goes back to 2012) and a visit to Stavanger Autumn 2017, Ennox now enters a partnership with Gateway Business Solutions (http://www.gateway-business-solutions.com/) in Mumbai. The agreement that will be signed in Delhi in November, entails the introduction of the EGX technology in the Indian market. The goal is to establish a Joint Venture company that will introduce the Ennox technology to oil companies, refineries and waste-management companies in India. Gateway Business Solutions are experts in assisting establishments in India. The Gateway partners are seasoned managers with an extensive network. This is key to the success of bringing the EGX to India. Initially, Ennox will show the Demo unit to potential customers through test projects. Then, the goal is along with local partners to establish a service for the Indian market. Estimates made when preparing the business plan for India show that the potential for EGX technology is significant. 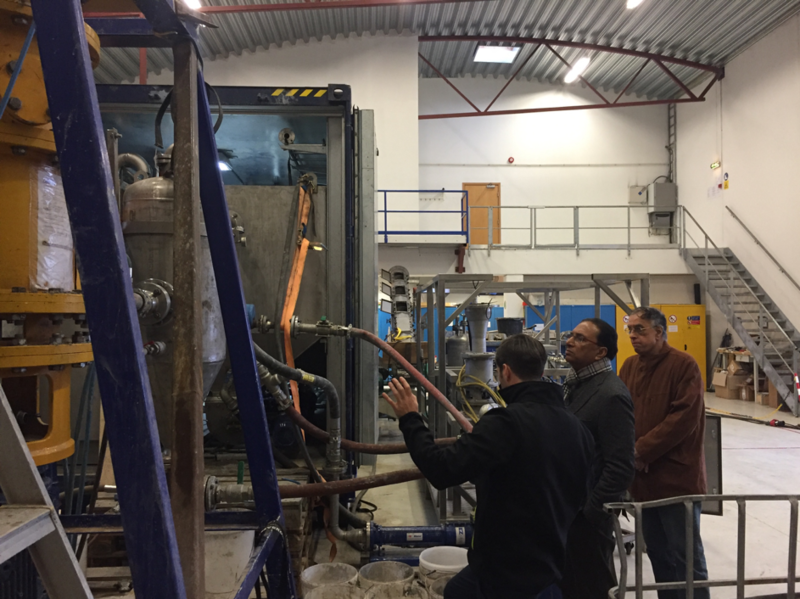 CEO Jon Gjerstad is explaining Mr. Bhuyan and Mr. Krishnan how the test-unit works as a part of their visit to Stavanger.